Location is top, 4 min walk to Mariahilferstr. A lot of restaurants nearby. 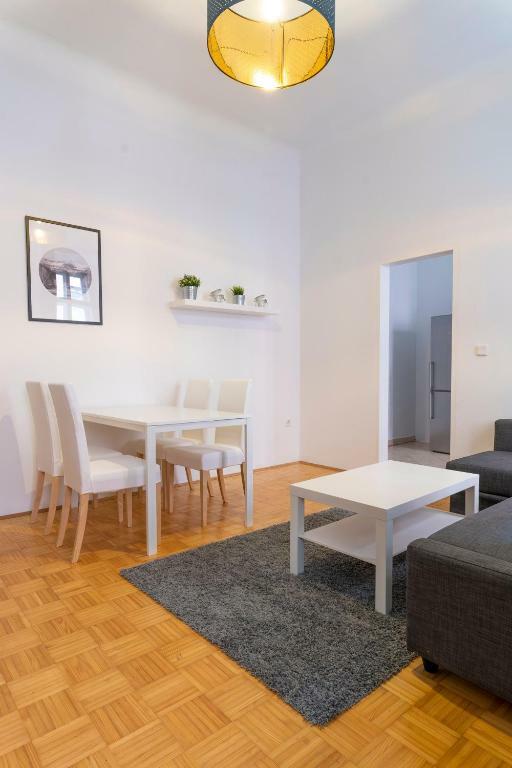 Apartment has all you need: a fully equipped kitchen, big bathroom, dinner table. For us, as a family, it was great. The location is perfect. It’s totally doable walking to the museum district even with little kids. Took us a little time to figure out how to turn on the hot water, but once we figured it out, it heated up real fast. 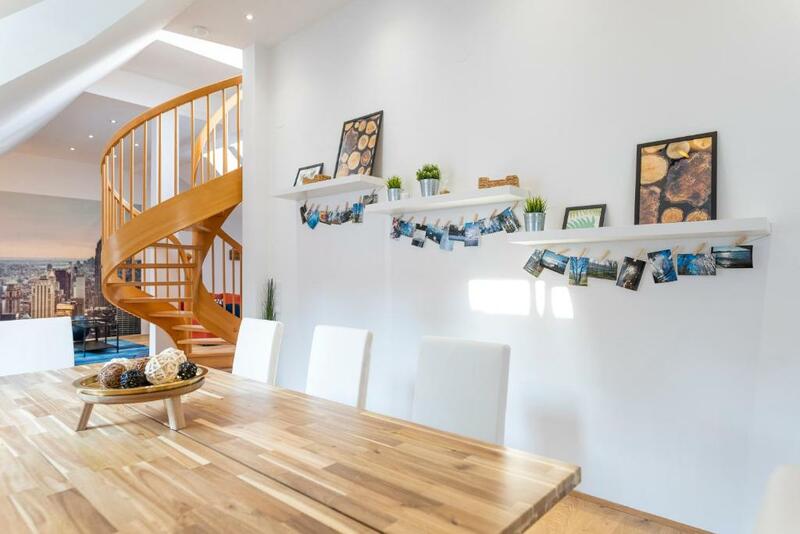 The location is very good, close to the shopping area and close to the museums. The position is excellent, the partment is big, clean very quite. The heating in our apartment wasn’t working but they promptly told us about it and gave us the top apartment (beautiful!). Amazing stay, outside was -1 yet felt like summer in our apartment! Nice property in a good location. The kitchen is fully equipped and clean. The best of the apartment is the location. It is a nice area with supermarkets, Cafe and restaurants nearby. The neighbors are very quiet and respectful. The apartment is very clean. Apartment located in a quiet area close to the museums and the metro stations of volkstheater and neubaugasse. Clean and fully furnished (ikea). Good for couples. 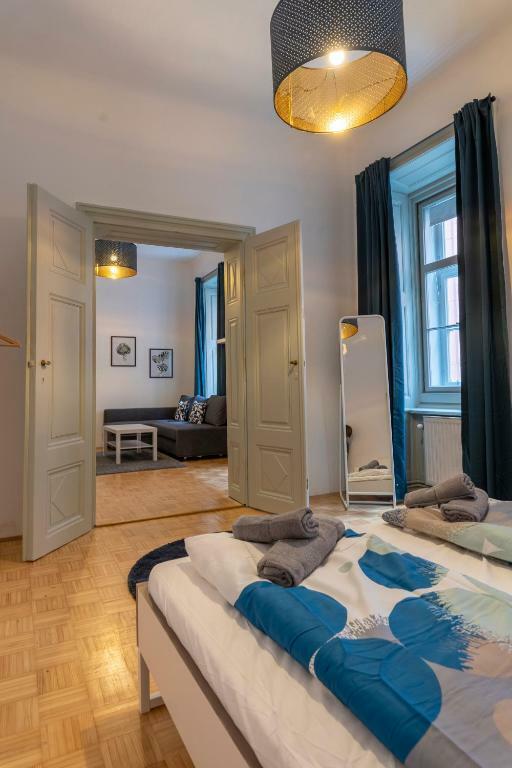 Lock in a great price for Stuckgasse Apartments – rated 8 by recent guests! Located within an 11-minute walk of Museumsquartier in Vienna, Stuckgasse Apartments has accommodations with free WiFi and a kitchen. Each unit has a dishwasher, oven, a coffee machine, as well as a microwave and electric tea pot. Some units include a dining area and/or a terrace. Leopold Museum is 0.6 miles from the apartment, while Natural History Museum is a 12-minute walk away. 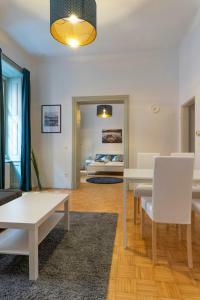 The nearest airport is Schwechat Airport, 13 miles from Stuckgasse Apartments. When would you like to stay at Stuckgasse Apartments? 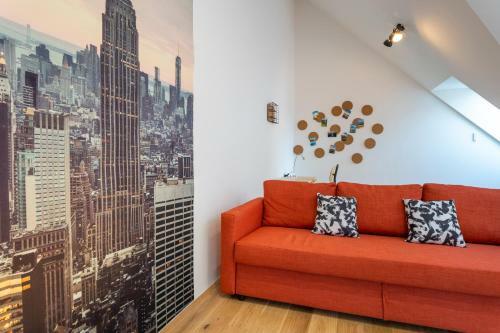 This apartment features a oven, stovetop and soundproofing. 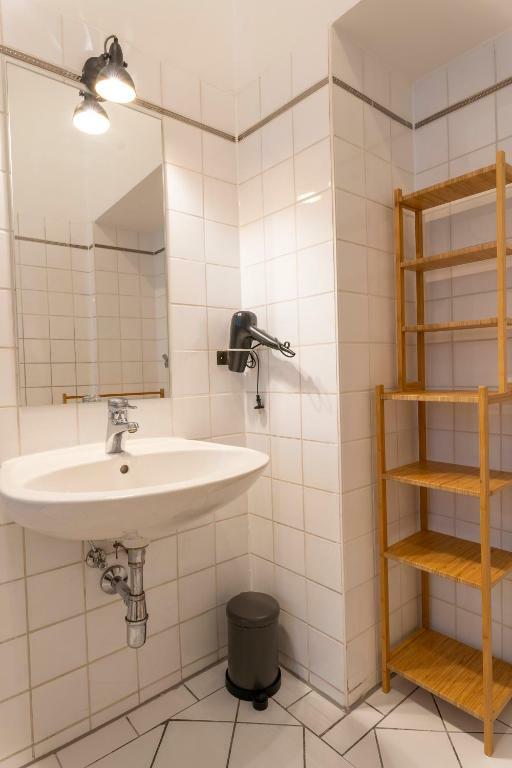 This apartment features a kitchenware, private entrance and dishwasher. 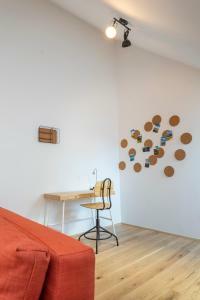 House Rules Stuckgasse Apartments takes special requests – add in the next step! No microwave and guest guide as mentioned. Great apartment. Clean and neat. The heating does a weird noise at night, it might be a problem for certain people. I got used to it and slept well. There's no TV, not sure if that's important to anyone. The flat is so beautiful and cosy! No trash can in kitchen. Entrance to building bit shabby. Unusual not to have refreshment /welcome pack at this price level. No wifi, tv... just bed and kitchen. it was dirty on arrival -- there were long black hair and hairballs of dust on the floor and food stuck inside in the kitchen sink. there were no towels, no tp, no kitchen knife, no wine opener, no kitchen towels no vacuum cleaner and no brooom. we complained and the owners sent us towels 36 hours later, but they never returned to clean the place and after 2 days stopped answering our mails altogether. it was quiet while we stayed there but a construction site was being armed almost directly across the street when we stayed there in Jan 2019. There were a few things that let the place down. It hadn’t been cleaned very well at all, there was hair in the sinks and showers and one of the shower drains was almost blocked by hair upon our arrival and the table had glass marks all over it. One of the showers was broken, and despite efforts to fix it, it kept breaking, thankfully it was still useable. There initially wasn’t enough linen for everyone, we had to request more to be delivered to accommodate all the guests. There was absolutely no toilet roll on arrival as well as no rubbish bags or dishwasher tablets. It would’ve been nice if there was even just small amounts to start with initially so a desperate trip to the nearest supermarket wasn’t required. There was only one tea towel for the whole week. None of the bedside lamps had lightbulbs in them so were unusable. There was no cleaning equipment so we couldn’t even wipe the bench tops and tables or sinks properly. All reasonably minor things but when they’re all added up it was rather inconvenient, especially considering the inflated cost we paid for the time of year it was. The host didn't answer my e-mails. The appartment is great, very big and comfortable. There are two bathrooms and a tiny balcony upstairs. If we may suggest, some toilet paper or shampoo/soap cost little but can make people staying here feel much better. The apartment needed more furniture like a microwave and a TV. The elevator was miniature but at least it was working. The main entrance was a little bit scary as we arrived at night, it looked like abandoned but as you go in you can see its not. I would have liked to know in advanced that the keys would have been under the doormate (and not in the morning of the day of arrival . what if my mobile didn't work?) Door not really easy to open. Wifi password wasn't written anywhere. Bath adapted as shower.